Besides surfing, you have to eat and sleep. You can depend the type of sleeping place on your budget. We did sleep quite often in homestays. Homestays are rooms next to the houses of locals which you can rent. In Canggu we stayed at Ombak Bagus Homestay. It’s a homestay where a lot of surfers stayed. 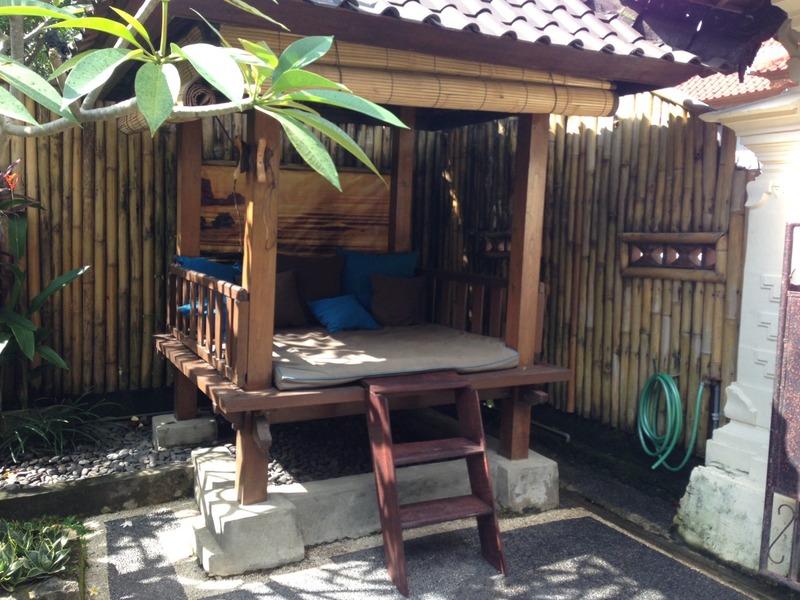 Joost, the owner of the homestay could give us lots of great places and tips to discover in Bali. Ombak Bagus was only 5 minutes away from spots like Tugu Beach, The Old Man and Canggu Beach, which was great! It’s also possible to stay closer to the surf spots. In Bukit, the southern point of Bali, there are a lot of accomodations next to the beach, some even on the beach! On the beach in Balagan, for example, there are lots of shacks you can stay in. On first sight they seem like bars (and they are) but you can stay on the second floor. These are very simple rooms, but you’ll wake up with one of the best surf spots in front of you! When I was in Bali I tried to eat as much Indonesian as possible. 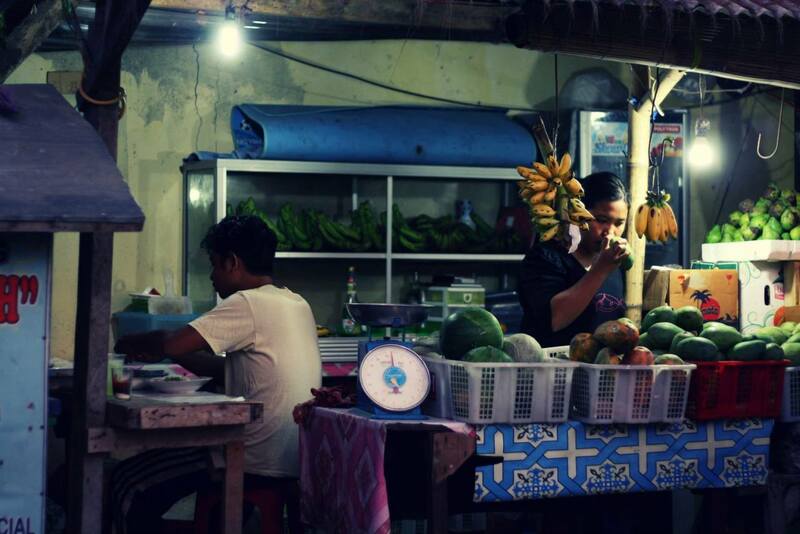 At ‘Warungs’, small restaurants, you can get delicious food for just a few dollars. It doesn’t always look so pretty, but you shouldn’t care about that too much. To find a good restaurant we checked if there were locals eating in the restaurant to test the quality of the restaurant. Besides the warungs, it’s also fun to eat fish on the beach of Jimbaran some time! 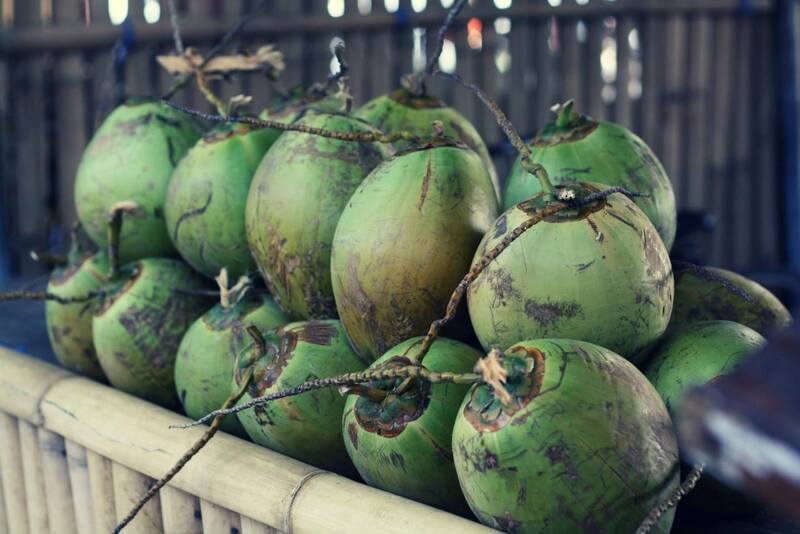 If you’re in the mood for Western food, good places to go are Deus and Canggu Beach. At Canggu Beach you can BBQ! 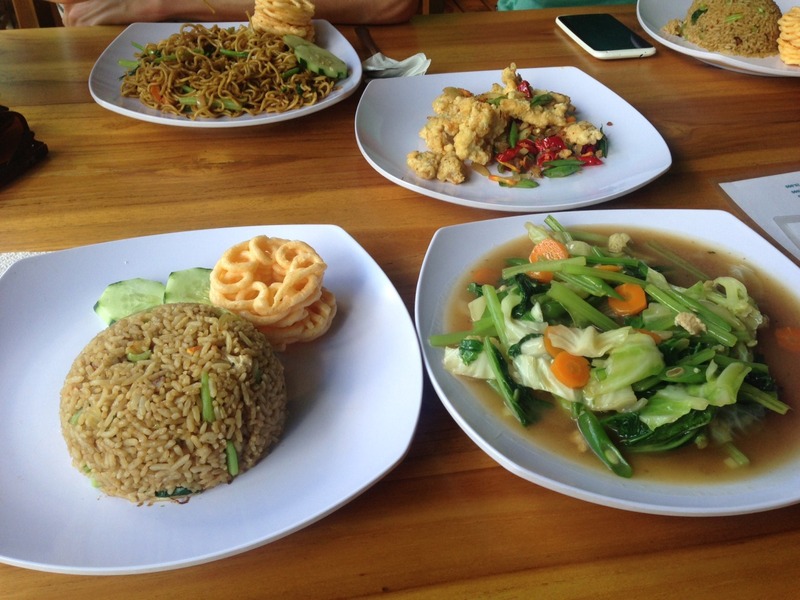 On the Gili Islands there are lots of restaurants that focus more on the tourist and have a more Western menu.